The scope of the U.S. Intelligence and China set covers both the People’s Republic and Taiwan, from 1945-2010. As the materials demonstrate, even before the formation of the PRC in October 1949, the United States targeted China for intelligence collection, hoping to uncover secrets about everything from Communist military capabilities to domestic policies. The resulting intelligence was not only critical in helping to shape U.S. policy toward the emerging world power, it was also used to guide sensitive covert action operations by the U.S. and Taiwan in the 1950s and 1960s aimed at weakening the Communist regime’s hold on the mainland. Even the Nationalist regime on Taiwan – a U.S. ally and a collaborator against China – was a target of U.S. intelligence collection efforts. Against both targets, the United States used a variety of methods, including human sources, signals intelligence, overhead imagery, and other lesser-known techniques. For years, the results of most of these multifaceted collection efforts against both Mao’s China and Chiang Kai-Shek’s Nationalist forces were kept highly classified. Now, thanks to the work of two widely recognized intelligence experts – Jeffrey Richelson and Matthew Aid –these important historical records are now available to the public, providing new insights into all aspects of the United States’ intelligence operations against its rival, the People’s Republic, and its ally, Taiwan. Early in 1953, President Eisenhower lifted the blockade of Communist China which was subsequently reinitiated by the naval forces of Nationalist China. In the early days of the First Taiwan Straits Crisis the Central Intelligence Agency produced this report that highlighted the economic and political impact of the blockade on Communist China. The report claims increased economic strife and political isolation as a result of limited alternatives (floods washing-out north-south railroads), embarrassing set-backs (seizure of the Polish tanker Tuapse), and the curtailed ability of Eastern European allies to lend assistance. Following the Taiwan Straits crises of the 1950s, avoiding a war between the two Chinas by ensuring a stable status quo became a U.S. priority. Knowing the desire of Nationalist China to reclaim the mainland, the Central Intelligence Agency analyzed the likely response to U.S. attempts to secure the current stability. This memorandum highlights probable responses which range from a chilling effect on U.S.-Taiwan relations, a unilateral Nationalist Chinese invasion of mainland China, and a turnover in the government in Taiwan. The Department of State, in an effort to glean human intelligence about the Chinese leadership, forwarded this list of questions to be posed to visitors to China. Specifically, those who came in contact with Mao Tse-tung were to be asked about the specifics of their interactions and any “peculiar physical characteristics” displayed by Mao. On October 16, 1964, the People’s Republic of China tested its first nuclear weapon at the Lop Nur site in western China. Communist China became the fifth nation to test a nuclear weapon. Though heavily redacted, this Joint Atomic Intelligence Committee memorandum reports the test and notes the preparation of a public statement for National Security Advisor McGeorge Bundy. Though Communist China was not a major combatant in the U.S. war in Vietnam, the PRC did send anti-aircraft and engineering units into North Vietnam in the 1960s to defend and repair transportation infrastructure. The U.S. intelligence community showed great interest in Chinese involvement and this detailed intelligence cable reveals the activities of Chinese anti-aircraft units stationed in North Vietnam. Strangely, the anti-aircraft units were furnished with small arms, but none of the heavy weapons required to deter airstrikes. The ideological Sino-Soviet divide widened in the 1960s and led to a number of border skirmishes, one of which is detailed in this Department of State Bureau of Intelligence and Research intelligence note. In addition to discussing the events that transpired on March 2, 1969, this document discusses some of the broader issues at play in the Sino-Soviet dispute at the time. Manchuria was already heavily militarized by China at the time and the Soviet Union had begun a large troop build-up years earlier. Chinese grievances at the terms of the border treaty and extensive propaganda campaigns against the Soviet Union are discussed alongside an analysis that neither side was interested in provoking a war. A map of the disputed area is also included which highlights the location of the skirmish. Attempting to curb the spread of nuclear weapons and related technology, the U.S. conducted espionage on its allies in Japan and Taiwan. Though heavily redacted in parts, this document reveals an interesting discussion about the expulsion of the Taiwanese representative from the International Atomic Energy Agency. The report admits that the Taiwanese government could easily bar inspections at its nuclear sites, but allows IAEA teams continued access to facilities. Another interesting portion of the report discusses the potential problems with the siting of nuclear energy reactors in Japan (pages 22, 26-27). 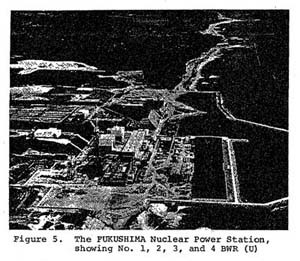 In fact, the Fukushima nuclear power complex is pictured in the section dealing with the related issues faced by the Japanese government at the time. Intelligence on the Chinese leadership often helped guide and inform diplomatic interactions and even broader U.S. strategy towards Communist China. This biographic sketch of Vice Chairman Deng Xiaoping produced by the Defense Intelligence Agency shows the breadth of information collected. Included in the sketch are Deng’s politics, educational background, military service, family, and personality (“energetic,” “abrasive, arrogant”). The normalization of relations between the U.S. and People’s Republic of China presented a new challenge to Taiwan and its relationship with the U.S. This cable from the American Institute in Taiwan highlights the impact of normalization on the political power structure in Taiwan. President Chiang Ching-kuo is the locus of the discussion – his governing style, political opposition, and relationship with key institutions: the security apparatus, the armed forces, the party, the technocratic bureaucracy, and the private business community. This report from the National Ground Intelligence Center is a more technical document as a great deal of time is spent discussing the technology behind radiofrequency weapons. The key determination of this report is that the Chinese have not deployed radiofrequency weapons; however, significant research and development is being conducted on high-power radiofrequency technology that could quickly evolve into a weapons system. In particular, the Chinese are reported to be working on radiofrequency technology designed to disable computer systems and disarm mines. Additionally, the Chinese military has shown interest in radiofrequency weapons for use in anti-aircraft and anti-satellite operations. In January 2004, Chinese medical researchers presented research into the biological effects of high-intensity radiation at a public conference in Thailand. Their briefings, despite the basis on animal experiments, revealed great interest in the potential ramifications of human exposure to Electromagnetic Pulse and High-Power Microwave radiation. The report goes on to speculate as to what the implication of this research is on the trajectory and progress of Chinese efforts into developing radiation weapons. Included in the discussion are electromagnetic pulse weapons derived from nuclear and non-nuclear explosions and carbon/graphite-fiber bombs. The speculation largely revolves around the potential impact of such weapons systems in a “Taiwan Scenario” and potential deployment strategies that would minimize the risk of U.S. involvement or prevent nuclear retaliation if a conflict with the U.S. did arise.